Is the Weimaraner right for you? Find your perfect match now! The graceful, aristocratic-looking countenance of the Weimaraner has graced many portraits by William Wegman, the famous photographer. The silver-grey coat and striking yellow eyes (or blue eyes, if she's a puppy) make this dog's face unforgettable in every way. 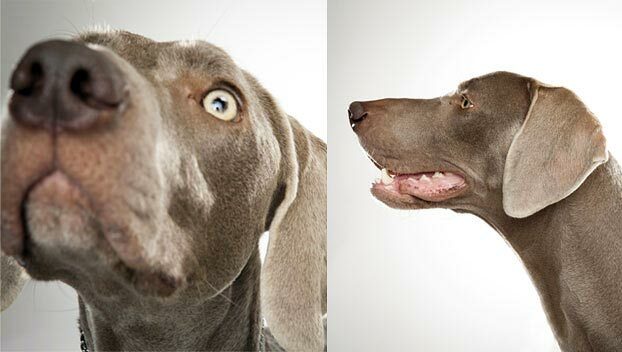 But the Weimaraner is so much more than just a pretty picture! They're also perpetual canine motion machines with genius noses and a seemingly boundless reserve of enthusiasm and energy. Bred as big game hunters (think deer and bear), today some Weimaraners work as bomb-sniffers for the U.S. military. Many more work as hunting dogs. Just about all want to be with their people as much as canine-ly possible. Originally from Germany, this medium-sized and high-energy breed can grow to between 55-90 pounds and lives an average of 10-13 years. 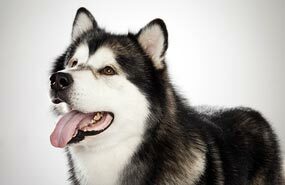 The breed is recognized by the American Kennel Club and classified as a member of the Sporting group. WHAT IS A WEIMARANER'S PERSONALITY LIKE? Amiable and courageous, Weimaraners are protective of their families and want all the attention you can give. They're playful and gentle with kids, though their joie de vivre might be a bit much for your small children. (As always, supervised play is suggested with any children.) They're not effusive toward new humans, but they usually don't mind meeting them. This breed can be aggressive with unfamiliar pets, though — including strange dogs. WHAT IS WEIMARANER BEHAVIOR LIKE? Weimaraners are a very active breed, built for endurance and speed. If you want a dog who will joyfully run with you while you train for a marathon, the Weimaraner's got you. She'd love to run with you as long as you can keep up with her. This gal is an eager hunter, retriever, and swimmer. She'll definitely need a securely fenced area for her daily romps and sprints. If she gets enough exercise, your Weimaraner will be alert and calm around the house. If she doesn't, she's likely to be destructive or overactive. Some Weimaraners tend to be a bit vocal, barking or whining to let you know something's on their minds. HOW EASY IS IT TO TRAIN A WEIMARANER? 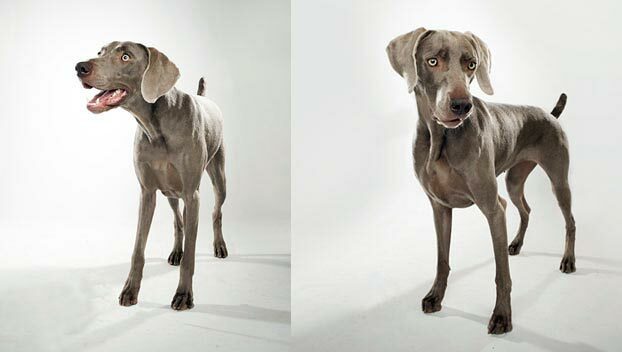 Fast-learning, fiercely intelligent Weimaraners are extremely biddable and respond well to training. Be patient and consistent with your furry friend. She'll appreciate training both for the physical exercise and the mental stimulation it provides. Unsurprisingly, this perpetual motion machine of a hunting dog enjoys agility, obedience, and other dog sports. HOW MUCH DO WEIMARANERS SHED AND WHAT ARE THEIR GROOMING NEEDS? Weimaraners are average seasonal shedders who require occasional grooming. Plan on weekly brushings. Bathe as needed. 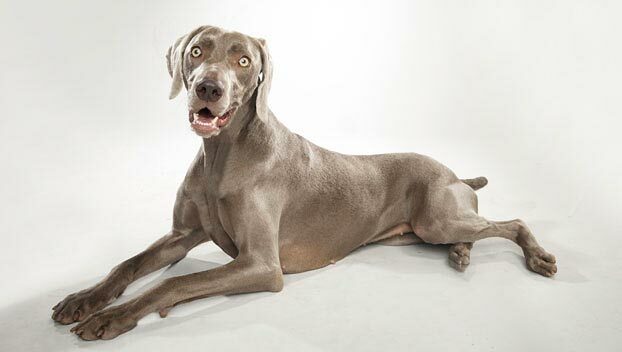 WHAT HEALTH PROBLEMS DO WEIMARANERS HAVE? As a breed, Weimaraners are generally healthy. Some are susceptible to hip dysplasia; some Weimaraner puppies also have adverse reactions to vaccines. Be sure to speak with your vet about any concerns you have. 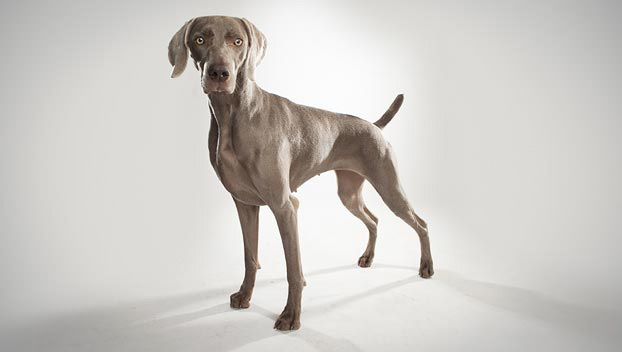 Weimaraners are also prone to bloat, a condition that requires immediate attention from your veterinarian. Familiarize yourself with the symptoms of gastric dilatation volvulus (GDV) and contact your vet at once if you suspect your dog might be suffering from this ailment. ARE WEIMARANERS GOOD FOR PEOPLE WITH ALLERGIES? The American Kennel Club doesn't list Weimaraners among its breeds recommended for allergy sufferers. You can reduce your furry friend's impact on your allergies with frequent baths and brushings to reduce loose hairs and aggravating proteins in your pet's dander. Use a damp cloth to wipe off your dog after you've been playing outside. Smaller dogs have less surface area, and so produce comparatively less dander than larger breeds — definitely something to keep in mind with a dog as large as a Weimaraner! Remember that no breed is 100% hypoallergenic, and any breed can aggravate allergies. WHAT IS A WEIMARANER'S BEST DAY? Ruuuuuunnnnnnnnnnnnnnnnnnnnnnnnnnnnnnnnnnnnnniiiiiiiiiinnnnnnnnnnnnnnnnnnngggggggggggg. Preferably somewhere with new smells and sights to explore. Preferably with you. End the day with a nice dinner, served in an elevated dog puzzle to keep her brain challenged and slow down mealtime. SHOULD I ADOPT A WEIMARANER? Weimaraners don't mind the heat, but they might need some protection from cooler temperatures. (Bonus: matching human and dog coats.) And if you're looking for a lapdog or a Netflix-binge buddy, keep looking. On the upside, this breed is bright, trainable, and eager to be by your side. If you're a very active person looking for a canine companion to hunt, swim, hike, or run with, the Weimaraner will gladly stick with you to the end of the long trail. 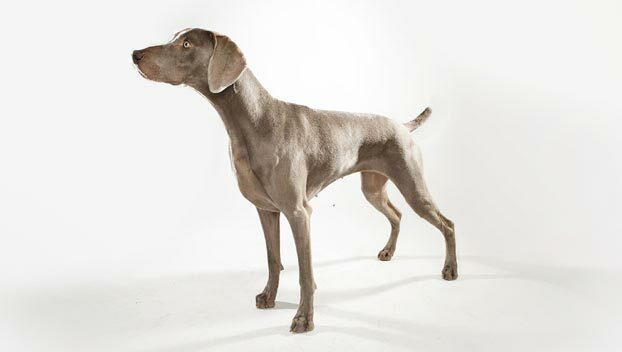 Have you decided that a Weimaraner is the perfect dog for you? Why not be your new best friend's hero and adopt a rescue! Be sure to check out our article on what to expect when you're adopting a dog or cat.